in part 2 I got an answer but it's wrong? It appears our plan was interfered with by the notorious Mr. Donut! I know about the famous hacker Mr. Robot, but has he teamed up with Mr. Donut? Has our advanced technology been defeated by glazed fried dough? 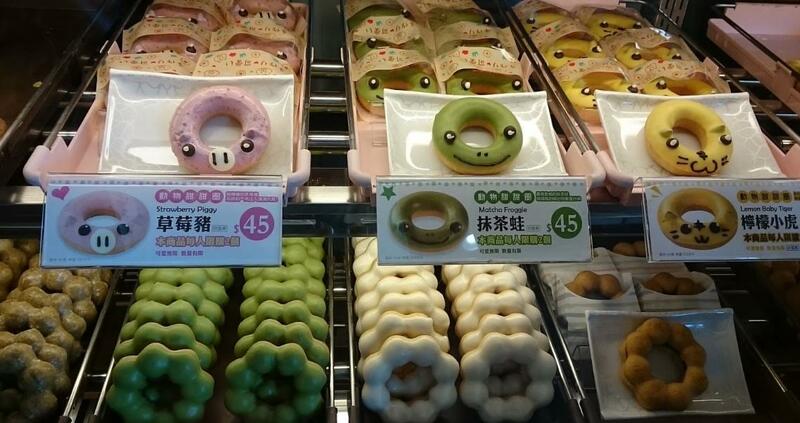 It's worse than I thought - look at those Matcha Froggies! It makes more sense that our truck left the airport and made a stop for a snack than that they STARTED at Mr. Donut and ended up losing signal at the airport. Look at the prompt, we are looking for an area obscured in satellite imagery. Those are pretty rare - how many can there be in Taiwan? Seriously, how many can there be? That information can be found - try to find a list of them. Do any of the places on the list match our syntax? If you haven't already, contact your fellow agents at Omicron. They will get you pretty far along. What is the name of the cipher in front of you? Well, what does the first document of this part of the mission read? There's a number, followed by a symbol. Does that correlate to the page from Omicron? Well, our alphabets on the page aren't arranged randomly. In fact, they are arranged into groups that have 2 perfectly even heights and widths. Find out the name of our cipher and look it up. If you understand the methodology, this mission clears up quickly. Take a break. Maybe go down to the corner and get a cup of coffee. Maybe "check in" on that location-based social network - they might even make you the "Mayor!" I've encoded the URL more than once, but don't worry I've tried to make it topical. Now, if you're going to use that solver OR EVEN IF YOU AREN'T, now that you know the name of the cipher, you can basically get right to the answer. No stalling, no standing around, no waiting in line. It's like you're just skipping the queue as the British might say. You might need to expand your mind (and your vocabulary) to get this solution. I found a solution that was just beautiful. It was a dictionary word, it seemed to match my understanding of frequency analysis, it looked great. Yeah, it was wrong though. The actual solution was a word I had not seen before. Thanks to @Mooner101 for solving this one with me - truth be told, man got there before me both times. * U.S. Army saved my brain. * Resolving the case gave me a huge wave of pleasure, like a Nile flood. Hopefully I did'nt stay stuck on 28.2 cipher. Quick mission, but nice for extended searches. the area isn't obscured in the satellite images at all for google maps ? has it been updated? I solved this via waybackmachine since the censorship no longer exist, making the letter state false things. Is it a major military installation? The word I get is AHLABA but don't fit. Maybe an anagramm of this, or am I on the completely wrong track? Have you looked into a four square cipher? I used a different cipher solver, than berzerk0 mentioned in the spoilers. His recommendation don't work for me because there was only ONE square (and I don't know how to use this this way). If you have problems like I had try to find a FOUR square solver.